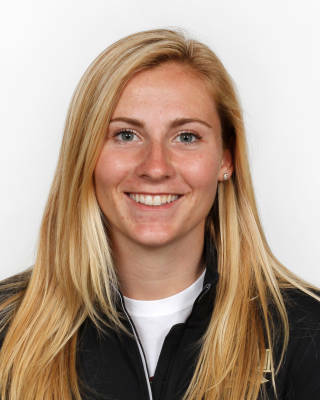 Brings wealth of experience as a senior coming off her best seasons in both cross country and track & field…earned spot on the travel roster in both sports during 2015-16 and competed in the ACC Championships…figured in the top seven last season and is expected to continue her upward trek. Cross Country: Competed in a career-high six meets last fall, contributing to the back end of the scoring lineup…opened with a breakthrough at the Covered Bridge Open then lowered her 5k PB at the Coast to Coast Battle in Beantown (18:07.2)…season-best 6k performance came at Wisconsin Invitational (22:11.6)…also in lineup at NCAA South Region for the first time. Indoor: saw action for the first time on the boards as a collegian…raced in four meets; twice each in the mile and 3000…season-best mile (5:05.37) came at Razorback Invitational…turned in 3000m PB at Conference Clash/Power 5 Invite (10:02.92). Outdoor: competed in a career-high six meets, including the ACC Championships…established three new personal-bests from 1500-5000m…breakthrough 1500 (4:35.54) came at Florida Relays…notched a career-best 17:12.79 under the lights at Penn Relays. Cross Country: Raced twice with a season-best 5k at the Mountain Dew Invitational (18:32.6)…was 27th overall at the FSU Invitational. Indoor: did not compete. Outdoor: ran the 1500 in four meets, lowering her time in each…then PB 4:43.70 at Tom Jones Memorial set her up for big cross country campaign in 2015. Cross Country: Saw action int hree meets…top performance as freshman came at FSU Invitational (19:49.4) where she was 38th. Indoor: did not compete. Outdoor: raced at home in FSU Relays and Seminole Invitational…posted collegiate-best 2:22.73 in the 800. Was a four-year member of the cross country team at Langley High in Great Falls, Va…qualified for the state meet twice…competed on the track at Penn Relays as a high school freshmand and junior…majoring in accounting…has been on Dean’s List at FSU…born Sept. 5, 1995.